Measurements: 45mm long X 13mm at the widest. 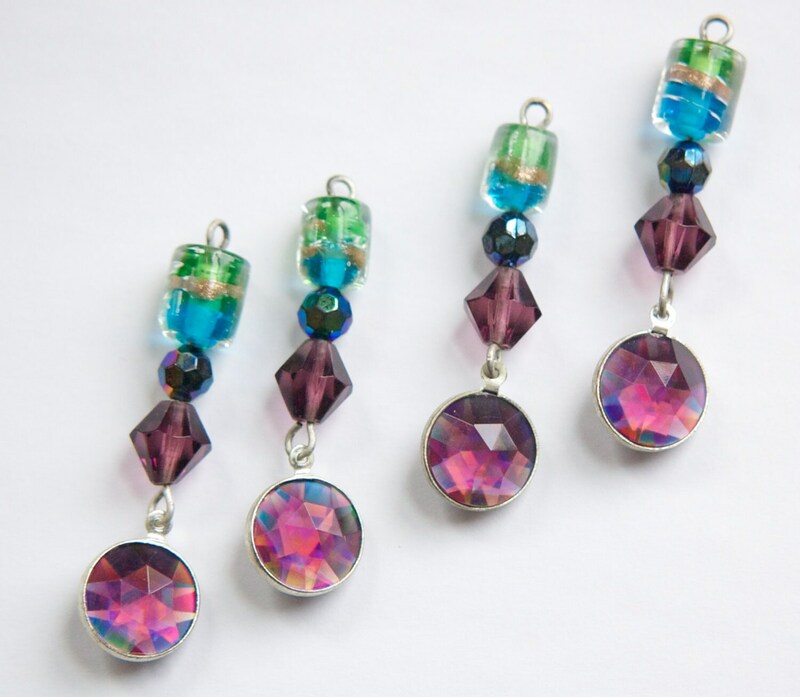 Characteristics: These drops are made from 4 beads. 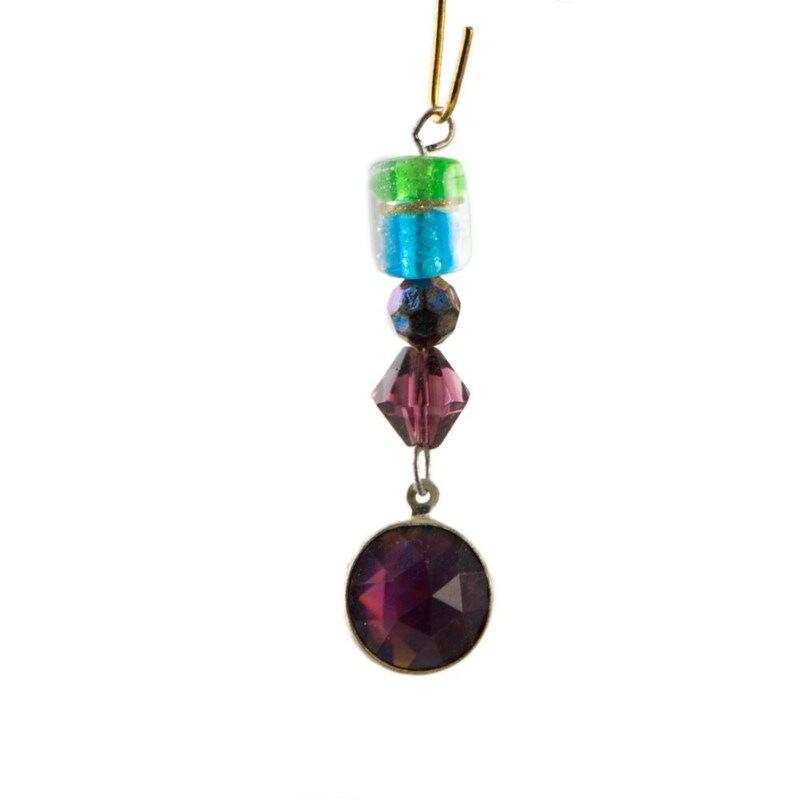 The first is a green and blue lamp work bead, a black AB faceted bead, a purple bicone bead and a channel set faceted vitrail stone. All the beads are glass. The vitrail stones are acrylic. pretty. just as described. fast shipping. 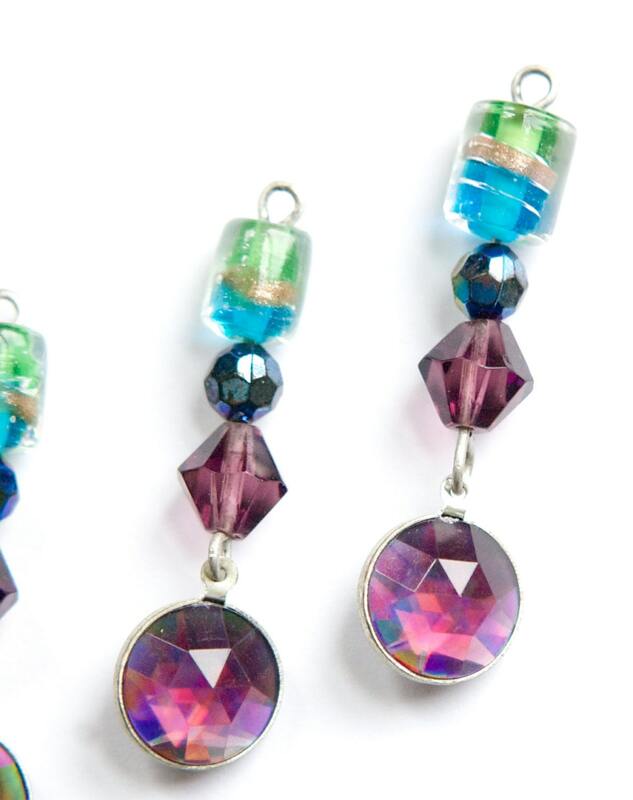 Fabulous beads! I've always appreciated the fabulous selection and quality beads from this fine Etsy seller! Very fast shipping and awesome customer service, too! Nice item and a great value. Thank you.